The Holidays are officially here!! And while a great arm party is always a fun time, it’s best not to let her neck go lonely. So, if she prefers fabulous necklaces i’ve got you covered! Feast your eyes on these beauties..
arm party + summer blues. Squash those end of summer blues, by adding splashes of aqua, ocean, cobalt & navy to brighten your day! 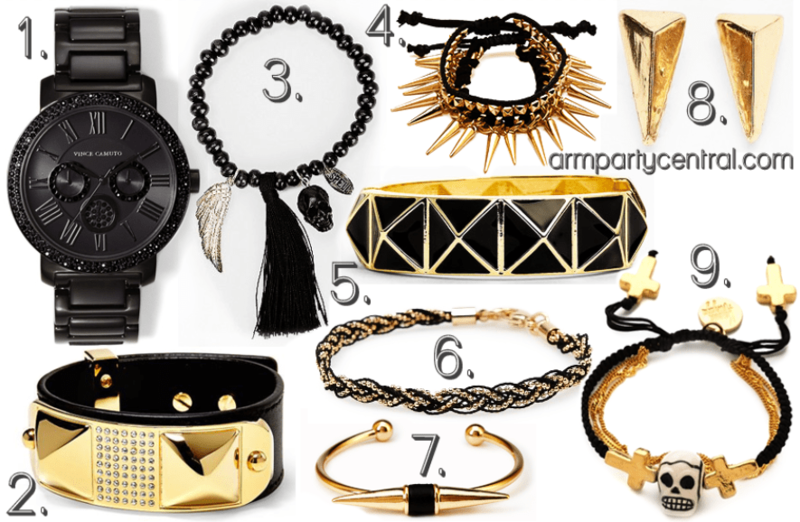 arm party + ridiculously awesome. Because, sometimes it’s fun to just day dream about all the awesome, ridiculous things you would buy if price was of no factor. Every ounce awesome, Bauble Bar can serve you up everything fabulous and fresh. While the only thing missing from this bar, is a champagne flute filled with bubbly, Bauble Bar has every possible accessory your fashionista could ever desire. 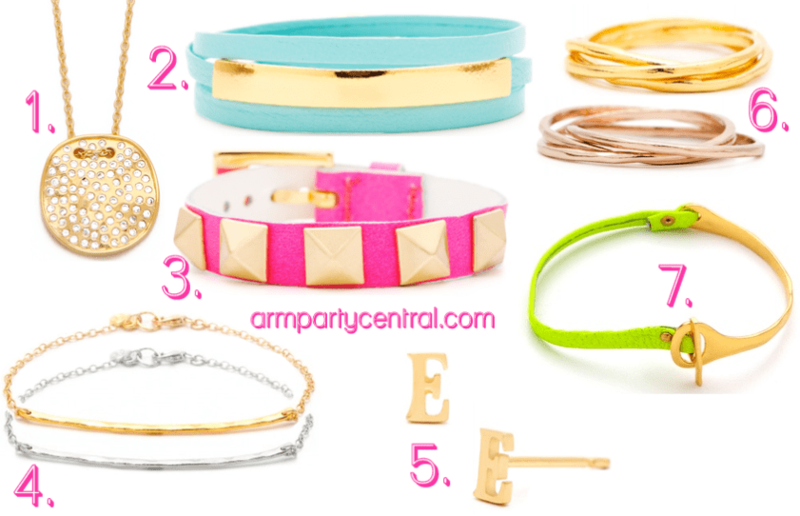 Everything from neon to nautical, Bauble Bar is the best way to start a party. Last night, having the best conversation with my friend Carey, we caught up, planned happy hour and gushed about how much we love Gorjana. From delicate midi-rings, to initials necklaces, Gorjana has the essential accessories. Whether you’re going out for a night on the town or meeting friends for Saturday morning coffee, Gorjana is my go-to for every arm party, outfit & occasion.